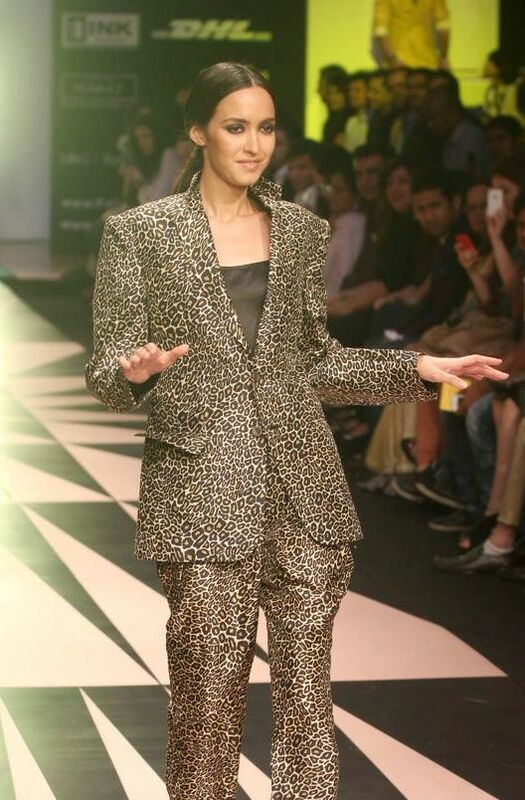 Within the first five minutes of Narendra Kumar's show at Lakme Fashion Week Summer Resort 2012 last night, I realised that this was going to be more of a party than a formal fashion show. This Mick Jagger inspired collection had Maroon 5's hit song - Moves of Jagger play in the background with our designer himself playing dj from his Iphone! What followed was a fun show with models walking down the ramp doing a little jiggy and the audience couldn't help but move and clap along. Overall a very fun show to be in! That guy in the last pic (in the white suit) is hawt!